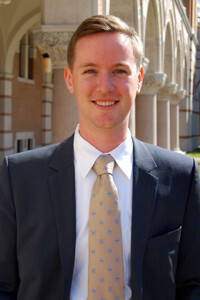 Today’s guest post comes from John Garrison Marks, a doctoral candidate in the Department of History at Rice University. His dissertation, entitled “Ports of Freedom: Race and Identity in the Urban Black Atlantic,” examines the development of racial identity among free people of color in the Atlantic World. 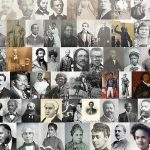 Marks is the co-editor of an edited collection titled Race and Nation in the Age of Emancipations: An Atlantic World Anthology, forthcoming from University of Georgia Press. The image of the Haitian Revolution looms large in the history of black freedom in the Atlantic World. 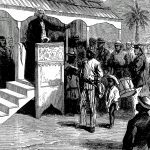 Not only does the Haitian Revolution nearly always make an appearance in the historiography on free people of color in the Atlantic, the image and ideas from the Haitian Revolution figured crucially in the development of racial identity among people of African descent at the turn of the nineteenth century. Particularly for free people of color who resided in Atlantic port cities, ideas emanating out from Saint Domingue inspired them to attempt to blaze their own paths towards racial equality and transformed the way they conceived of their place within the racial order of the Americas. My research, through a case study of Cartagena de Indias, Colombia, and Charleston, South Carolina, examines more broadly how the era Haitian Revolution represents a flashpoint in the history of black freedom, one that catalyzed the development of broad links among free people of color throughout the Atlantic World. As free people of color in both Latin America and the United States, in both the North and South Atlantic, confronted the boundaries of racial difference during the era of the Haitian Revolution, they began to see their conditions as linked, despite local differences and international borders. This transformation in identity is especially clear when we examine insurrection conspiracies that emerged in Charleston and Cartagena during the era of the Haitian Revolution—in 1793 in Charleston, and in 1799 in Cartagena. Free people of color were at the center of each of these conspiracies, as they were alleged to have planned cooperation with blacks from Saint Domingue in broad plans to destroy the slave system and overthrow white rule. White officials in both cities feared the influence of “French” blacks, and sought to limit the influx and influence of ideas and people from Saint Domingue. The broad cooperation alleged between African descended people across local, national, and imperial lines reveals the development of a shared identity, forged through a common experience of racial discrimination and rooted in the Atlantic World. In South Carolina and Virginia, in what has become known as the “Secret Keeper” conspiracy, a large number of enslaved and people of color allegedly planned to put a massive insurrection scheme into action. According to white officials in both states, key leaders in Richmond, Norfolk, and Charleston communicated throughout the summer and fall of 1793 to organize thousands of enslaved and free people of color in a planned uprising. 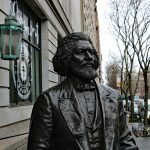 In August 1793, a white Virginian discovered a letter from the “Secret Keeper” in Richmond to the “Secret Keeper” in Norfolk, detailing a planned insurrection conspiracy connecting slaves across the United States’ southern Atlantic Coast. The Richmond Secret Keeper explained that the “great secret” long held by people of “our own color has come nearly to a head.” Enslaved and free people of color in Richmond, Norfolk, and Charleston allegedly planned to coordinate their efforts and begin a massive insurrection on a pre-determined night, massacring whites and taking over state power. In subsequent years, as fears of Saint Domingue-inspired racial violence periodically arose, white Charlestonians continued to express fears that French people of color were arriving in South Carolina and influencing the region’s slaves and free blacks. In 1797, for example, a group of concerned citizens petitioned the state legislature to express apprehension about the large number of “French” blacks who had gained access to the city and had begun to spread their pernicious ideas about black freedom. They stated that “many negroes of…the most desperate and dangerous dispositions” had entered the city, attempting to enact the most “dangerous designs and machinations” and plots of a “nefarious and pernicious nature.” Indeed, throughout the era of the Haitian Revolution, white officials in South Carolina continually pointed out alleged links between “French” blacks and the city’s own enslaved and free black populations each time rumors of racial violence emerged. Like Charleston, Cartagena de Indias faced the possibility of racial violence inspired by the slave revolution in Saint Domingue during the 1790s and early 1800s. Responses to the Haitian Revolution by blacks and whites in and around Cartagena parallel neatly those of Charleston and the South Carolina lowcountry. Whites feared that French blacks would influence otherwise contented local populations of African descent to revolt, using their demographic advantages to violently take over state power. Blacks, meanwhile, derived influence from the image and idea of the Haitian Revolution, and began to identify common cause with the revolutionary former slaves and free people of color in Saint Domingue. During the 1790s, insurrection conspiracies in Cartagena and throughout Caribbean New Granada reveal the extent to which African descended people there began to identify with blacks and mulattoes in Saint Domingue and elsewhere in the Caribbean and Atlantic worlds. During the 1790s in Cartagena, like in Charleston, an Atlantic racial identity began to emerge among people of African descent. 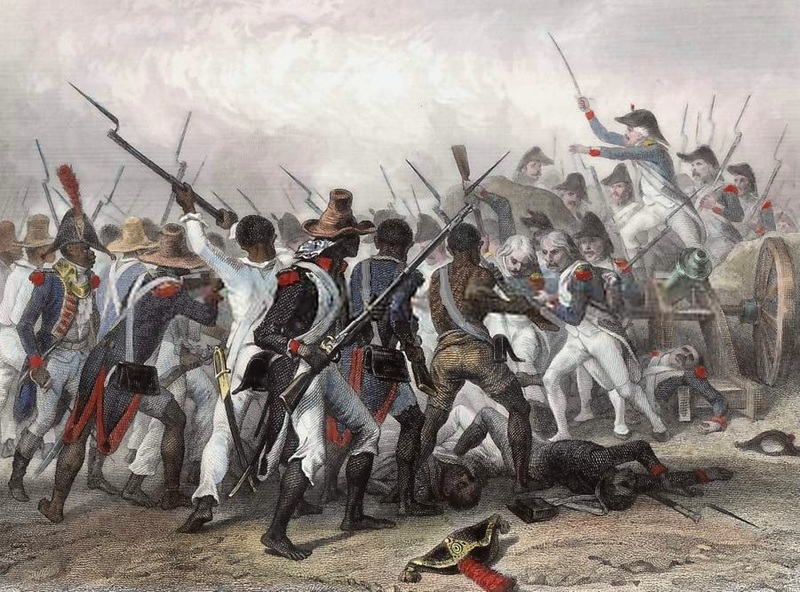 The planned 1799 revolt in Cartagena, like that in Charleston, connected free and enslaved French, African, and creole blacks in an effort to overthrow white rule through violence inspired by the example of Saint Domingue. On April 2, 1799 Spanish officials discovered a plot among a group of people of African descent described variously as “black French slaves and other creoles,” and “black French slaves and other Africans,” to take Cartagena’s most important fortress and clear its garrison. Following their takeover of the fort, these blacks would descend into the city “to kill the whites” and “plunder the King’s fortunes and possessions.” These conspirators were to be joined and supported by a man named Jorge Guzman, a black sergeant of one of Cartagena’s artillery units. Just one day before the plan was to be put into effect, the conspiracy was betrayed to white authorities by Manuel Yturen, a captain of the city’s voluntary pardo militia. Yturen learned of the plan when a “black creole slave,” in conjunction with a number of French slaves, attempted to recruit Yturen and his militia unit into the conspiracy. The following month, the governors of Santa Marta and Maracaibo, Venezuela also discovered insurrection plots in their cities, and they feared connections with those “certain French blacks and mulattoes” who had developed the insurrection conspiracy in Cartagena. On the night of May 19th, a local pardo militia captain discovered a plan for an uprising, which was to take place that same night, among “the captains and crews of color of two French corsairs who had entered this port…from Puerto Principe,” and planned to “rise up against [its] quiet and good order.” New Granada’s Viceroy Pedro Mendinueta learned with great concern of the “uprising and sack planned” in Maracaibo “by the French blacks and mulattoes.” Officials reported that free and enslaved blacks and mulattoes of French, African, and creole origin had planned to take control of the city and kill all the whites. These blacks from Saint Domingue planned to introduce into Caribbean New Granada “the same system of freedom and equality that has reduced to total ruin” the French part of Hispaniola. 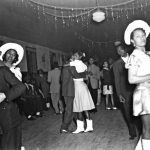 Like in North America, Spanish officials feared that existing prohibitions against the introduction of foreign blacks into their cities, particularly from the French Caribbean, were not strong enough to halt the flow of unwanted ideas and people. 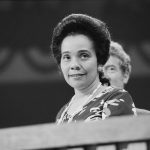 The insurrection conspiracies that emerged during this era in both South Carolina and Caribbean New Granada reveal the way African descended people in both the North and South Atlantic engaged ideas about black freedom and equality, and attempted to push against the boundaries of white supremacy. Though they represent just a short moment in the history of the Atlantic World, responses to the Haitian Revolution among free people of color offer a glimpse into the ways racial identities and consciousness began to transform among people of African descent in Latin America and the United States during this era. In both Cartagena and Charleston, free people of color identified common cause with African descended people from Saint Domingue and elsewhere in the Atlantic World, and attempted to cooperate in broad plans to overthrow white rule. Regular access to ideas from throughout the Atlantic World during this era transformed racial identity among African descended peoples residing in Atlantic port cities. The circulation of news, rumor, and ideas throughout during the tumultuous era of the Haitian Revolution went hand in hand with the emergence of a racial identity rooted in the shared experience of black freedom in the Atlantic World. Thank you for this excellent post John! In my own research I found that Haiti also played a key role in the political thought of free blacks in Massachusetts during roughly the same era. While there were no major conspiracies analogous to the “Secret Keeper,” writings by individuals such as Prince Hall clearly show the rise of an incipient Black Nationalism that gave a radical edge to their arguments for abolition and racial equality.